Neocode Software has developed a custom-built iOS application available in the App Store, called RFID+. The RFID+ App has been built to interact with special piece of hardware that can retrieve data encoded on RFID tags. 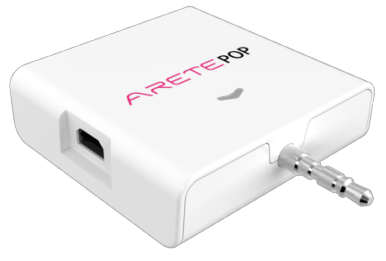 It connects to an iOS device ( iPhone, iPad ) and is called the Arete POP. 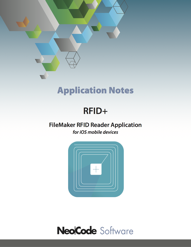 Filemaker Go solutions can scan information stored on Radio Frequency Identification Tags ( RFID ) into a local FileMaker Go database or into a hosted FileMaker file accessed remotely through FileMaker Server. RFID+ by Neo Code Software Ltd.